The Rebel Sweetheart. : Win a Gelarti Prize Package and Keep Kids Creative! 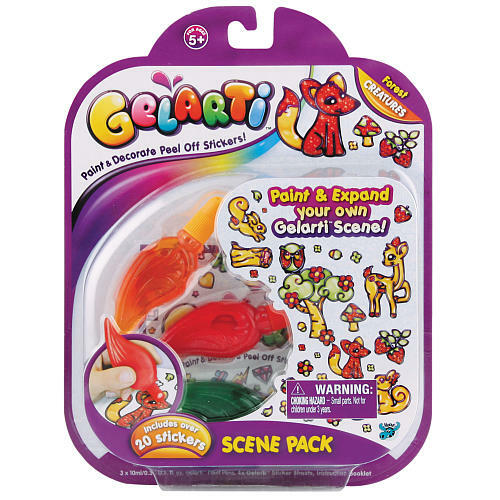 Win a Gelarti Prize Package and Keep Kids Creative! For a three-year-old, my son truly has an imaginative mind and such creative hands. To enhance and nourish this talent, I always keep a stash of art materials at home, within his reach. Crayons, coloring books, colored pens, sketch pads, stickers, practically anything to hone his skill and creativity are available at home. I even bring a small box of crayons and a coloring pad whenever we leave the house, for those 'Mom I'm bored' moments. Just recently, I discovered these cute craft kits called Gelarti. 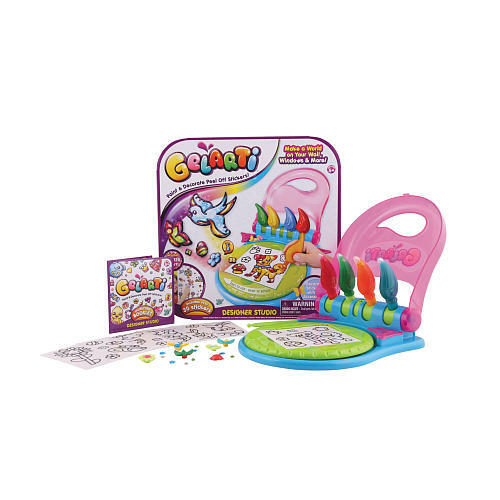 Manufactured by Moose Toys, Gelarti are stickers with a twist! Cute, colorful, and reusable, these stickers are perfect for decorating and accessorizing bedrooms, notebooks, mobile phones, laptops, and a whole lot more! For the 'Keeping Kids Creative' event, The Rebel Sweetheart is giving away one (1) Gelarti Designer Studio plus one (1) Gelarti Forest/Creatures Scene Pack! With a combined value of $50, these prizes are guaranteed to bring hours of creative fun! The Gelarti Designer Studio allows you to make a fun and colorful world on your walls using paint pens, glitter and 3-D accessories! You can paint and decorate peel-off stickers with the studio, which rotates for easy use, and then remove and re-use them in another location. Create a colorful world on your walls and windows. Peel the stickers from the sheets and re-use them in multiple locations. Easy-to-use studio allows you to paint and rotate. The Gelarti Scene Pack - Forest/Creatures is all you need to start your Gelarti collection! Gelarti is so simple to use! Place your Gelarti sticker sheet onto a flat surface and gently squeeze the Gelarti paint pen to add color to your sticker. Apply the color in thin layers and leave the painted stickers to dry for at least 6 hours, or for best results overnight. Once completely dry, peel off the backing sheet and apply to smooth, clean surfaces. When you want to move your Gelarti sticker, peel off and place it somewhere else! Enter the giveaway using the Rafflecopter below. Entries are earned by doing the very simple tasks indicated in the Rafflecopter. Not all tasks are mandatory, however, you earn more entries if you complete more tasks. Best of all, this giveaway is open worldwide! Have fun, and best of luck! 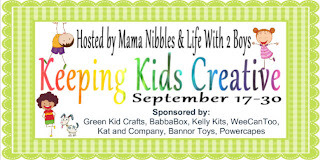 In the US, the last week of September has been designated as "Keep Kids Creative Week". While this week is often celebrated in schools with many fun activities to help stimulate kid's creativeness, parents can also take advantage of this week to do some really fun things at home. Many parents struggle with finding time to fit creativity in but there are lots of products out there to help us with getting those creative juices flowing. I would love to see some nice tote!!! More kids items would be awesome! I'd like to see more kid's toys or baby stuff. I would like to see something for winter - outdoor winter toys, clothing, etc. for the kids! I'd love to see something for the kitchen, like a cookbook or a small utensil. Id love to see more stuff for the kids or diamond candles. I would love to see holiday gift items. Especially for men!